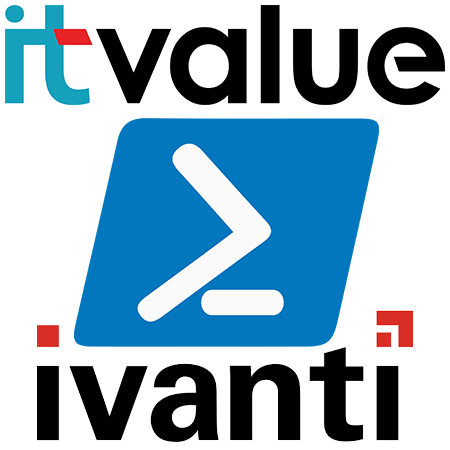 IT-Value has developed a new integration between Ivanti Automation and TOPdesk. This user-friendly, very complete and efficient link makes it verry easy to automate your helpdesk tickets and management activities. This link is bidirectional. This means that it works from Ivanti Automation to TOPdesk and back. Ticket applications that are requested in TOPdesk will be followed up quickly, standardized and registered with Ivanti Automation. The request will be automatically presented to the right manager for approval. 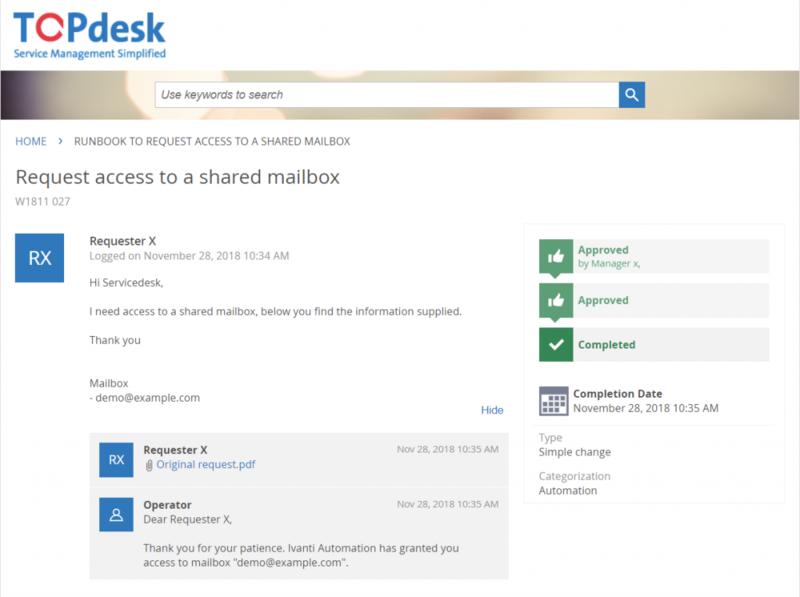 When the request is approved the access or resource will automatically be enabled. The advantages are that helpdesk tickets can be picked up more quickly and the backoffice has more time available for other projects and activities. We call this the shift left principle. Increase data security by managing and automating authorizations. Reduce the chance of human error because tickets are standardized, automated and recorded. With Ivanti Automation we can make TOPdesk the initiator of scripts, this will provide an easy workflow to automate your tickets. The code below will do the same thing as the schreenshot above. First it will fetch the change and parse all the form values for easy access. It ends by changing the state of the ticket to implemented and will reply to the user so the user knows the request is finished. 'value' = "Dear $($rfc.requester.name), Thank you for your patience. Ivanti Automation has granted you access to mailbox '$($Form.Mailbox)'." Our PowerShell module is supplied with full documentation supplied as webpage (HTML5). This way it’s easy to navigate and requires just a browser. For the installation and configuration, their are hardly any resources needed from your organization. 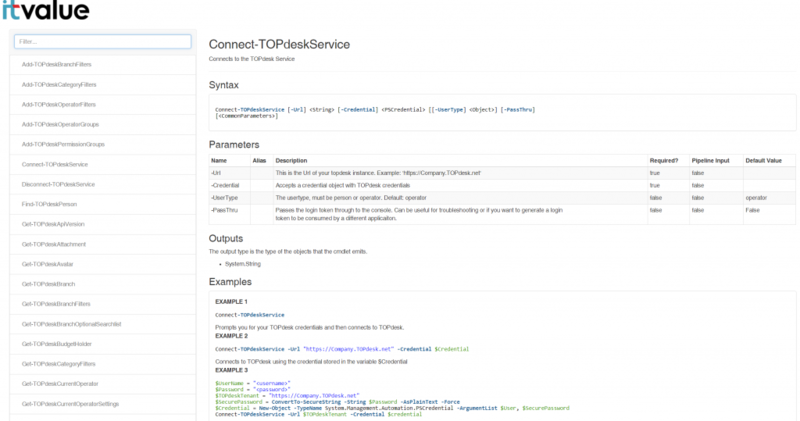 The implementation of our Starter Pack TOPdesk – Ivanti Automation will take approximately 5 days.